Covering 50 years, writing about 50 buildings, all in 50 weeks. Yes, it was aggressive, but I did it. A couple of friends who had done some blogging challenged me on the inaugural post last January. Are you crazy? Writing every week? My response, “The title seemed like a good idea at the time…..?” Besides, I had twelve weeks of posts already prepared by the time the year turned and I was certainly going to be able to keep up, right? I planned out the entire year, and then work got in the way. By March it was like the college English paper, “You mean another one is due already?” I don’t know if you can make a living by blogging, but it is certainly a job. In spite of the continuous deadlines, I came to enjoy it. I enjoyed reconnecting with former clients and colleagues, learning their perspective on the projects all these years later, and discovering the fascinating stories behind each project—like how the Gerstein House handles a nor’easter or how a project like the Franklin Park Zoo evolved over a 20-year span. Some of the stories focused on the client, like the Aga Kahn for Hotel Pevero. Or how current world events were influencing the designs. Who had remembered that the Village of Loon Mountain was designed at the time of the first Earth Day and was the reclamation of a gravel pit created for building the Kancamangus Highway? 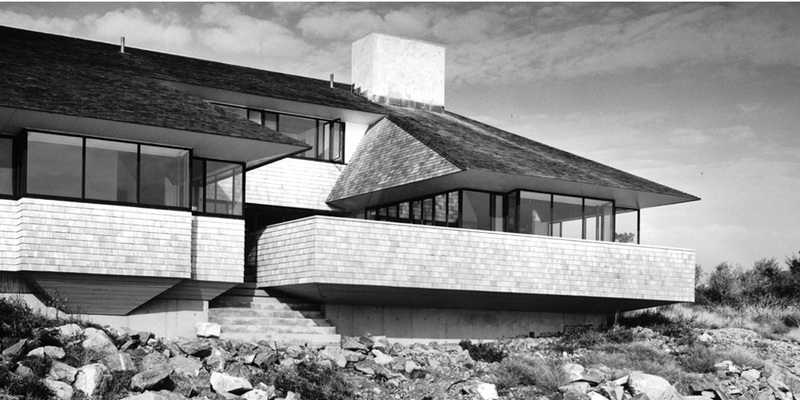 We were sustainable way before that word entered the architectural lexicon. I think perspective has a way of teaching you something new, even about work you have done. I was impressed at the beginning with The Rivers School–how timeless the very first building was and that it is still serving its original purpose today. And this continued through all fifty posts. The Framingham Public Library (“Time Capsule”) is forty years into its life and virtually untouched. It is still lending books and providing community service. As Rem would write, the buildings are not of a “style,” but they have “style.” Similarly, the housing projects that evolved out of the custom single-family house projects are a primer in moving sophisticated architectural concepts to a cost-efficient market and exposing the broader population to their finesse. Eric Gould’s contribution on the Water’s Edge post captured the inventiveness at work in those years. Thirty years later, Shadow Farm, James Landing, and Ledgebrook remain desirable places to live and with some interior updates could appear to have been built in the last few years. What did I learn about myself? I learned that I enjoyed writing and finding the story. There were times when I felt like I was just writing and no one was reading and then some interesting connection would occur that would blow my socks off! People are really reading this! I always thought I was a pretty even keeled person, but with the blog on LinkedIn, I suddenly understood that I am unstable. I was either trending up or down. People were looking at my profile or their actions were off 80% for the week. Why did no one like that last post? I can see how social media can influence your psyche. I don’t know what I expected for an audience when I started. I had three reasons for writing the blog in addition to celebrating 50 years of work. I wanted to capture some of the stories before all the participants were gone. I wanted the young people in our office to understand the body of work they are building on and I thought the web might make it more accessible to them. And lastly, I thought the clients might enjoy seeing all that we do, given that they likely know us only in one market. For the year we had almost 22,000 views, around 1,200 per month, and a little over 6,300 unique users. That’s a little bigger than my family and the partners’ combined, so I know a few others were reading. 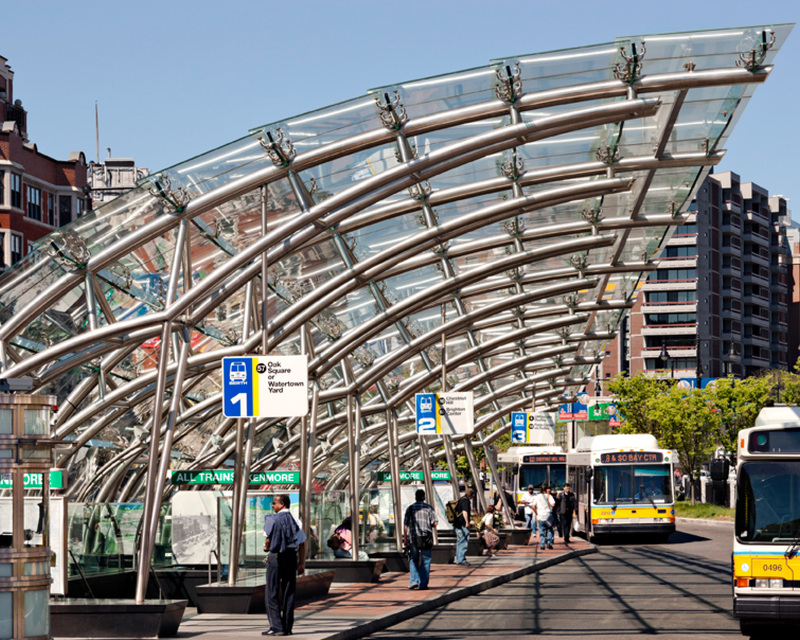 The most popular post for the year and the third quarter was “Seeing is Believing,” about the Kenmore Square T Station and Bus Canopy, which no doubt benefited from increased news coverage due to the T’s abysmal performance last winter. The first quarter post with the most views was “How Pleasant it is for Brothers to Dwell Together in Unity,” about St. John’s Interfaith Center in Columbia, MD. Following that was “Beer is a Wonderful Lubricant,” the story of Peter Shaffer and Phil Sharpe’s backyard conversations that led to the first Biogen Building. 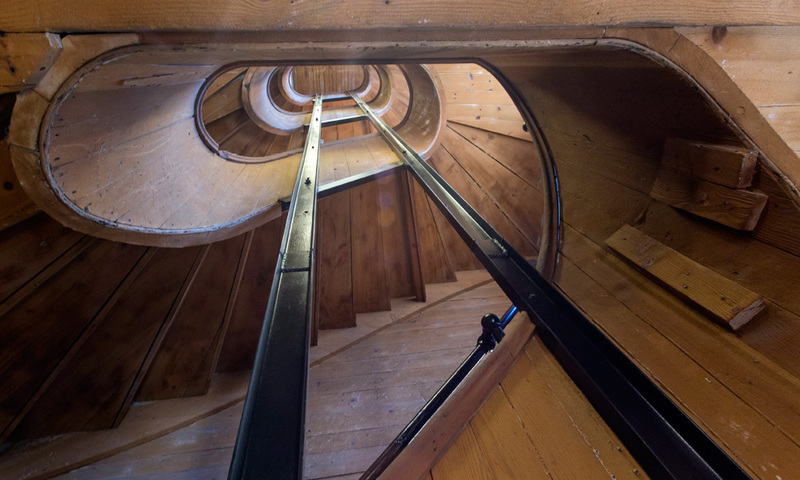 And this last quarter, “Bring me Something I Haven’t Seen Before,” the design challenge that created Loft 23, one of our most iconic buildings, also captured readers’ attention. I need to thank a few people that helped me get this done. There are many people, too many to list here, that sat for interviews, responded to my requests, sourced pictures, etc. I thank you all and hope that the result is something you are proud to have participated in. Tony Tappe’, Rem’s partner for many years sat for a few lunches and filled in some of the blanks, regaling me with his business development acumen and ability to win new projects. Frank DiMella and Peter Shaffer provided their recollections and connections to participants far and wide so that I could tell the story. Stuart Carter, whose memory is still as sharp as a naval officer’s, has, according to legend, a copy of the firm archive in his attic. From what I have seen, his is more complete than our’s. Stuart, who was one of the early employees who worked with us until his retirement, provided much perspective and valuable project materials, particularly about Hotel Pevero and New Hampshire College. I could not have done this without my editor, graphic accomplice, and ghostwriter Kenneth Hartfiel. I am not sure whether Kenneth volunteered or I just picked him, but he edited my text, prepared drawings and images to go with the story and occasionally helped craft a story so I would make a deadline. He was a good person to bounce the storyline off of and he would cut me off if I was rambling. It would make my day when he communicated how much he learned assisting or that he loved a project that he had just discovered. If Idi volunteered then Allison Turner got drafted. Idi taught Allison to post in case she was out. Allison gave the valuable lay reader perspective. I did not want to write just for architects so I needed to know if she thought the posts were interesting. I also tested my titles on her. Gradually she also took on the analytics and took over when Idi went out on maternity leave. I can’t forget Rob Shearer who was always up to go shoot one of the older projects with his 20 million pixel digital camera and capture key images to illustrate the stories. He has a good eye and often I chose a shot he had composed rather than the one I sent him to get. We will benefit from having his shots of the older projects with mature vegetation and in a native digital format. Thanks also to my current partners, Randy Kreie and Diane Dooley for allowing me this indulgence and tolerating a year of blog stories. They often heard “I still have to get my post out!” or, “Can you write something about x project?”. 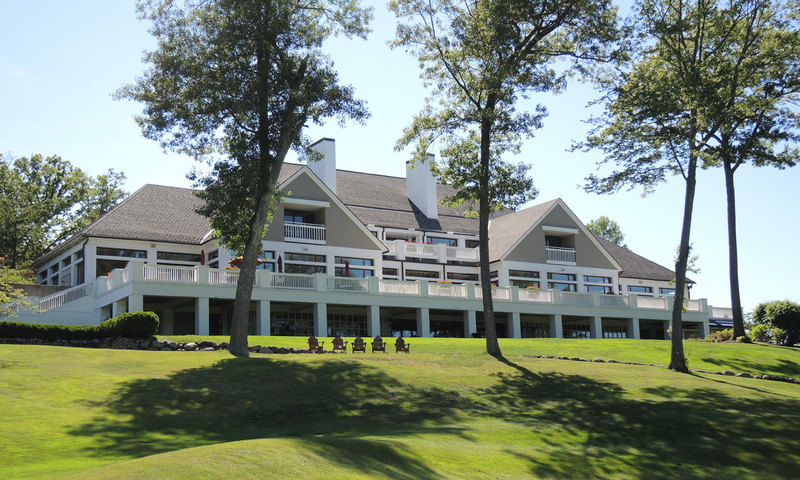 Randy commented when I got to Ipswich Country Club, “I can’t believe how fast you got to the projects I was involved in.” Randy, it was still thirty years ago- I know you don’t feel that old. Time flies when you are having fun. So where does a blog and a blogger go from here? We consciously picked a URL dstemp.dev that could evolve beyond the 50th year celebration title. We intend for it to be a blog that builds conversations about the work, our industry, and topics of general interest. As you have seen since the end of the year, the pace will slow down from weekly to every couple of weeks. And we are going to open it up to other authors in the firm. I will continue to write posts and there are a few buildings that did not make the cut of fifty that I think merit having their story told. Other ideas that have been percolating over the year will become future posts. Thanks for your time over the last year and I hope you have learned something about the body of work and the unique culture that is DiMella Shaffer. Thanks for reading and come back and find out if you have “Design Disease.” I have it and I will tell you what living with it will cost you! WHERE HAVE ALL THE CHIMNEYS GONE?